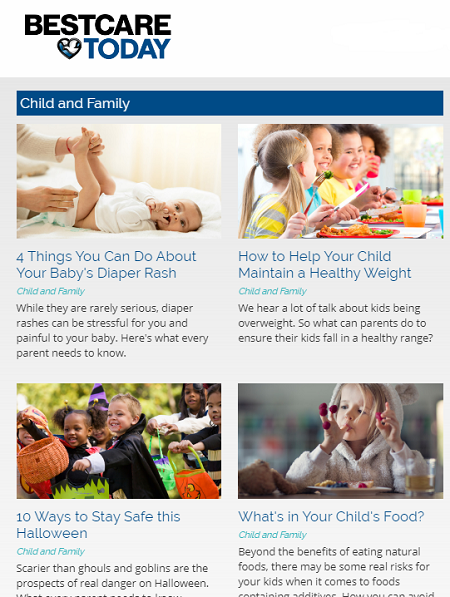 Welcome, ParentSavvy readers, to Bestcare Today! We are excited to continue delivering valuable parenting and health information to you. Many of ParentSavvy’s local experts, such as doctors Emily Bendlin, Judith Scott, Matthew Gibson and Elizabeth Walenz, will continue to provide health information you have grown to enjoy and count on. You can continue to find Child and Family health in this dedicated section written by local experts. We encourage you to sign up for our monthly BestCare Today newsletter to continue to receive monthly health information.